You've registered your BBQ and you've set a date. What's next? We've put together some ideas to help you get the most out of your Great Outback BBQ. Be sure to follow up on Facebook and Instagram for helpful tips and tricks along the way to help you prepare for your Great Outback BBQ! 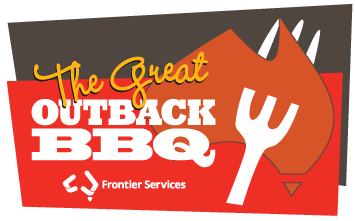 Use our Great Outback BBQ invitation template in the Resources tab to invite your friends, family, colleagues, community groups and neighbours to come along to your BBQ. If someone can't make it, ask them to donate to your fundraising page instead! Use the hashtag #SnagsInSeptember and #IBBQBecause to help share the BBQ spirit on social media. Share your fundraising page with friends to let them know why you're hosting a BBQ. You can even update your Facebook profile page to a Great Outback BBQ theme during the month of September to show your support for our Aussie Farmers! We have created a Facebook frame to help you spread the word! Approach people for in-kind support or sponsorship. Fill out the sponsorship template in the Resources tab to ask people like your local butcher or grocery store to donate sausages or bread. You can also ask your workplace to dollar match what you fundraise on the day of your BBQ. Create buzz about your BBQ by contacting your local paper, inviting people to join in on the fun! We've made it easy for you, simply fill in the press release template from the Resources tab and send it to your local media. Everyone loves a Great Outback BBQ so get creative with a theme, raffle or game and remember to have fun and make it yours. On the day, make use of your collection box provided to you in your Welcome Kit to collect donations from your guests. So we can thank you! Every dollar you raise will make a real difference, providing care to Aussie Farmers as we have done for the past 106 years!